During speech therapy sessions with children and adults with severely impaired communication skills, one of my primary challenges is setting up situations that promote the urge to talk. As parents, therapists and educators, when helping individuals who have significant communication challenges, we need to set up an environment that gives the individual a reason to talk and make sure to give individuals enough wait time so that they can initiate speech. Most of us often know what a person is trying to say and help meet their needs to avoid conflict or make life easier, but there are times that it is more appropriate and therapeutic to actively intervene so that there is more of a reason for the person to initiate a communicate attempt. There are quite a few methods for doing this. We can sabotage the situation- place something in full view but out of reach that we know the person wants, give them something broken that they need to have fixed or engage them in a pleasurable activity such as swinging on a swing, listening to music or playing a fun game- then suddenly stop the activity. Lots of praise for communicative attempts is critical to promote communication- as is providing frequent opportunities for communication during enjoyable activities. If communication does break down- we try to give just enough help for success. It’s important once the communication is repaired- to then review what happened and practice what the individual could have done or said to communicate the desired message. I use these techniques with a wide range of individuals- young and not so young individuals with autism spectrum disorder ( ASD), adults with aphasia and individuals with dementia or other cognitive challenges. The initiation of communication is critical for quality of life- and often quite a challenge to establish. I encourage families, teachers and therapists to create situations throughout the day during everyday activities such as morning rituals, mealtimes, work/school and leisure activities. When using the iPad- I have recently been using quite a wide variety of apps to create these temptations. Of course- the selection depends on the interests and motivations of the client. For individuals with more advanced communication abilities- these same apps can be used to give each other directions or describe what has happened in the app or what they are about to do. 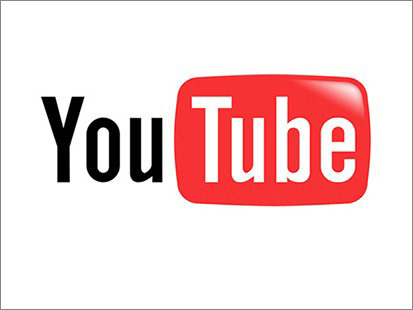 YouTube- on my iPad I have saved many great videos in the “favorites” section for easy viewing. At times I might pause them engage in comments about what we see. I may offer written word choices using paper/pencil, include targeted vocabulary in an AAC app or provide hands on prompting to facilitate accurate verbal productions. Older clients often like “Dancing with the Stars” , while younger ones often respond to amusing Disney clips or favorite singers. Whenever possible I try to find funny clips to promote enjoyment. Cut the Rope or Where’s My Water– These two apps are very popular with just about all clients. I hold the iPad and encourage clients to say words such as “dig” , “cut” etc prior to interacting with the app. 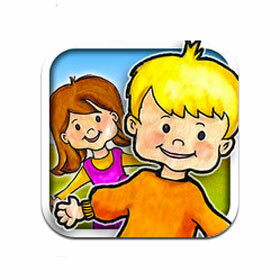 Hand over hand guidance may be needed for individuals with limb apraxia- but many people young and old love these apps. Below I have listed a a few websites, blogs and videos that do a great job of presenting ideas about how to create communication temptations and facilitate communicative interactions. I am sure there are many more. If you know of other sites or videos that illustrate the use of communication temptations to encourage verbal initiative- please email me at Joan@innovativespeech.com. 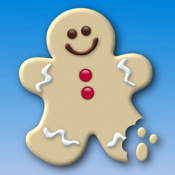 This entry was posted on Thursday, June 7th, 2012 at 7:26 am and is filed under Apple apps, For Adults, For Children. You can follow any responses to this entry through the RSS 2.0 feed. You can leave a response, or trackback from your own site.